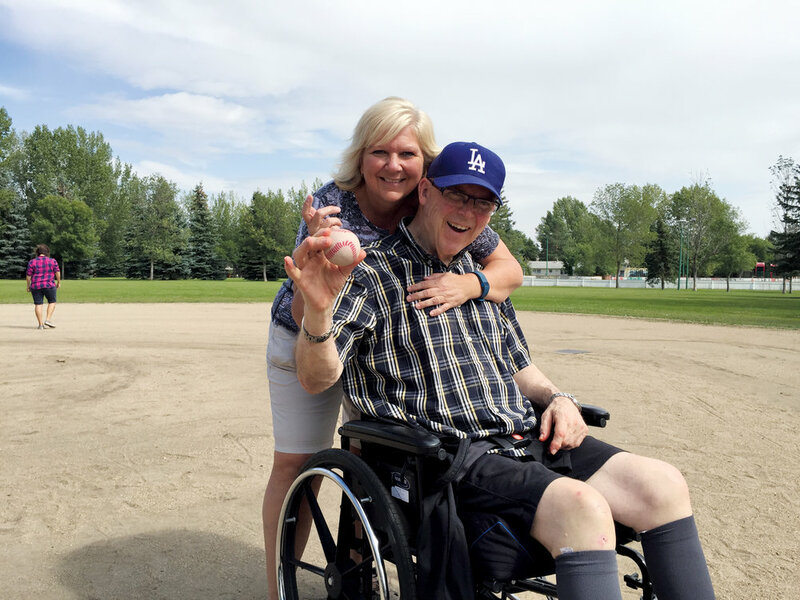 Colleen Pylypow, Sherbrooke’s Manager of Volunteers and Global Events, and resident Malcolm Gilbert enjoying a game of baseball. Photo courtesy of Sherbrooke Community Centre. Well-being is the cornerstone of the Eden Alternative philosophy. Co-created by Americans Dr. Bill Thomas and Jude Thomas in the early 1990s, the Eden Alternative abandons the institutional approach to nursing home and dementia care and, instead, focuses on the human spirit as well as the human body in order to create a home where residents can thrive. “If you’ve worked with people with dementia, you clearly understand it is a partnership. People agree or disagree with whether they’re going to receive care or not receive care,” notes Beatty. The Sherbrooke Community Centre is home to 263 residents as well as day program participants. It has a community garden, art studio, gift shop, and more, all of which provide access to a healthy community environment where they can choose their activities and day-to-day experiences. Opportunities for intergenerational connections are provided from a daycare and a Saskatoon Public School grade six classroom that also operate out of the centre. Learn more at sherbrookecommunitycentre.ca and edenalt.org. The elder’s history, and who they are as a person is well-known. The elder is empowered to make as many choices as possible. The elder has opportunities to find meaning from things that really matter to them. Elders can grow through meaningful activities. Elders feel connected to others, their environment and nature. Elders feel psychologically, as well as physically, safe.